One of the most overused word in tRadka Tonefhe English language is classic, with critics often hailing the latest book, play or album a “classic.” More often than not, this is hyperbole, and it’s only much later, that the same critics realise that they were rather fulsome in their praise and too quick to call the album a classic. However, when Norwegian singer Radka Toneff and American Steve Dobrogosz released Fairytales in the autumn of 1982, it was to critical acclaim with the album quite rightly being called a future classiske. Straight away, this future classic was a hugely popular album, with Fairytales winning the hearts and minds of Norwegian music lovers. Sadly, just two weeks after the release of Fairytales, tragedy struck when thirty-year old Radka Toneff was found dead in the woods of Bygdøy after taking an overdose of sleeping pills. Norwegian music lovers were in mourning as they had lost one of their greatest jazz singers, just five years after winning a Spellemannprisen in 1977 for her debut album Winter Poem. Twenty-nine years after Radka Toneff’s tragic death, Norwegian musicians were asked to vote for Norway’s best album of all time in 2011. By then, Fairytales was Norway’s best selling jazz album. Once the votes were counted, Radka Toneff and Steve Dobrogosz’s 1982 album Fairytales was crowed Norway’s best album of all time. That was no surprise, as it’s a classic album, and one that has inspired and influenced two generations of musicians. Ellen Radka Toneff was born in Oslo on the ‘25th’ of June 1952, to a Norwegian mother and Bulgarian father who was a pilot and radio technician. The Toneff family lived first in Lambertseter and then Kolbotn, and by then Radka Toneff had already discovered music. This came as no surprise, as her mother had been a folk singer. Over the next few years, it soon became apparent that Radka Toneff hadn’t just inherited her mother’s love of music, but also her talent. In 1971, Radka Toneff enrolled in a music course at the Oslo Musikkonservatorium, where she began a four-year course. During this period, Radka Toneff was also a member of the fusion band Unis throughout her time at the Oslo Musikkonservatorium. By 1975, Radka Toneff graduated and decided to form her own band. This was the Radka Toneff Quintet which was she founded in 1975, and featured on her debut album Winter Poem. When Winter Poem was released by Zarepta Records in 1977, it was to widespread critical acclaim. Critics realised that Winter Poem marked the debut a truly talented vocalist who had the ability to breath emotion, life and meaning into lyrics which she lived rather than delivered. Sometimes, there was an intensity to the twenty-three old’s vocals and she seem older than her years. Some critics believed that Radka Toneff was destined for greatness. 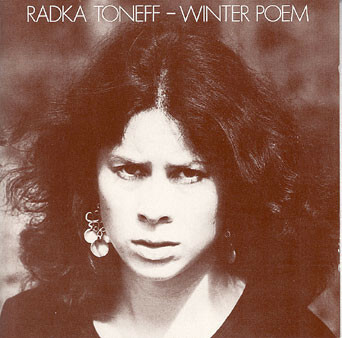 This proved prescient when later in 1977, Radka Toneff won what should’ve been the first of many Spellemannprisen Awards when she won the best vocal for her album Winter Poem. Already, Radka Toneff had come a long way in a short space of time. Just under years later, the Radka Toneff Quintet arrived at the Talent Studio, in Oslo in January 1979. Only drummer bassist Arild Andersen, guitarist Jon Eberson and keyboardist Lars Jansson had played on Winter Poem. Despite the changes to the Quintet’s lineup, this multitalented band was the perfect foil for Radka Toneff on It Don’t Come Easy which was released later in 1979. When critics heard It Don’t Come Easy, they agreed that Radka Toneff had matured and grown as a vocalist, and her sophomore album was released to the same critical acclaim as Winter Poem in 1979. However, soon, Radka Toneff was about to meet the musician who would become her musical muse. This was Steve Dobrogosz a twenty-three year old composer and pianist, who was born on the ’28th’ of January 1956 in Bellefonte, Pennsylvania. However, his parents moved Raleigh, North Carolina, where he went to school and discovered his love of music. This led to Steve Dobrogosz heading to the Berklee College of Music, after he had graduated from high school. After he graduated, he decide to move to Stockholm, Sweden in 1978. Having arrived in Stockholm, Steve Dobrogosz began playing live and recording. This was all good experience Steve Dobrogosz, who a year later, met Radka Toneff in 1979 and a new chapter in his career began. Radka Toneff and Steve Dobrogosz. Although Radka Toneff was still leading the Radka Toneff Quintet by 1979, she had also formed the Radka Toneff Quartet. However, by then, the Quartet was looking for a new pianist, and Steve Dobrogosz who was still living in Stockholm heard about the vacancy and applied. Not long after this, Radka Toneff met Steve Dobrogosz, and she knew that she had found the new pianist for the Radka Toneff Quintet. Little did Radka Toneff realise that was the start of a three-year working relationship. A year after Steve Dobrogosz joined the Radka Toneff Quintet, it was the end of the road for the Radka Toneff Quintet. It had been together since 1975, and although the lineup was fluid, the Radka Toneff Quintet stayed together. After that, Radka Toneff decided to concentrate her efforts on the Quartet. By then, the Radka Toneff Quintet’s lineup featured Danish drummer Alex Riel, bassist Arild Andersen, pianist Steve Dobrogosz and Radka Toneff. Some nights when the Quartet played live, the drums and bass would drop out leaving just Radka Toneff and Steve Dobrogosz, and the pair would play a couple of songs together. This proved popular they worked well together, with the Radka Toneff’s voice and Steve Dobrogosz’s piano in perfect harmony. This lead to the pair recording a duet for Norwegian Broadcasting Corporation. This was an improvised version My Funny Valentine, which was produced by Erling Wicklund at the end of a radio recording session for the Norwegian Broadcasting Corporation, in November of 1979. That recording sowed the seeds for Fairytales, and featured on the album when it was recorded in February 1982. 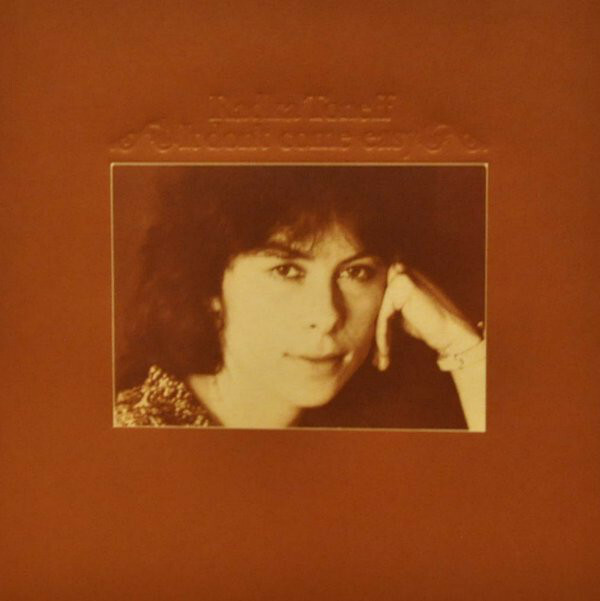 Just over two years had passed since Radka Toneff had released her sophomore album It Don’t Come Easy in 1979 and she was wondering about recording an orchestral album for the followup? Radka Toneff wasn’t sure that this was the way forward her. Neither did Steve Dobrogosz, who suggested the he and Radka Toneff should record an album together as a duo. Straight away, Radka Toneff liked the idea of recording an album featuring just Steve Dobrogosz’s piano accompanying her vocal. However, there was a problem though, Zarepta Records who had released Radka Toneff’s first two albums had been dissolved, and she had no label backing her. In a way, this was a fresh start, as this new chapter in Radka Toneff and Steve Dobrogosz’s careers began.The pair started trying to interest Norwegian and Swedish labels in the project, but nobody was interested in the album. Then Radka Toneff and Steve Dobrogosz caught a break. Fortunately, the Norwegian Jazz Federation which was headed by Rolf Grundesen, had just launched their own record label, Odin. When Rolf Grundesen heard about the project, he was hugely supportive and even suggested that Radka Toneff and Steve Dobrogosz record the album at the Grieg Hall in Bergen. It was featured some of the earliest digital recording equipment and also a good quality grand piano which Steve Dobrogosz would play as he accompanied Radka Toneff. Having secured the backing of the Odin label, Radka Toneff and Steve Dobrogosz chose the songs that would join their cover of Rogers and Hart’s My Funny Valentine on Fairytales. It had been recorded in late 1979, and that meant only nine songs would be recorded. This included covers of Jimmy Webb’s The Moon Is A Harsh Mistress; Bernie Taupin and Elton John’s Come Down In Time; Kurt Weil and Maxwell Anderson’s Lost In The Stars; Eden Ahbez’s Nature Boy; Blossom Dearie and Dave Frishberg’s Long Daddy Green; Fran Landesman and Dudley Moore’s Before Love Went Out Of Style. The other three tracks saw Radka Toneff and Steve Dobrogosz put poetry to music. Both Radka Toneff and Steve Dobrogosz shared a love of Fran Landesman’s poetry, and they decided to set two poems to music. Steve Dobrogosz wrote music to Mystery Man, while Radka Toneff penned the music to Wasted. The other poem that was set to music by Steve Dobrogosz was Emily Dickinson’s I Read My Sentence. It would eventually close Fairytales, which was recorded at Bergen Digital Studios between the ‘15th’ and ‘17th’ of February 1982. 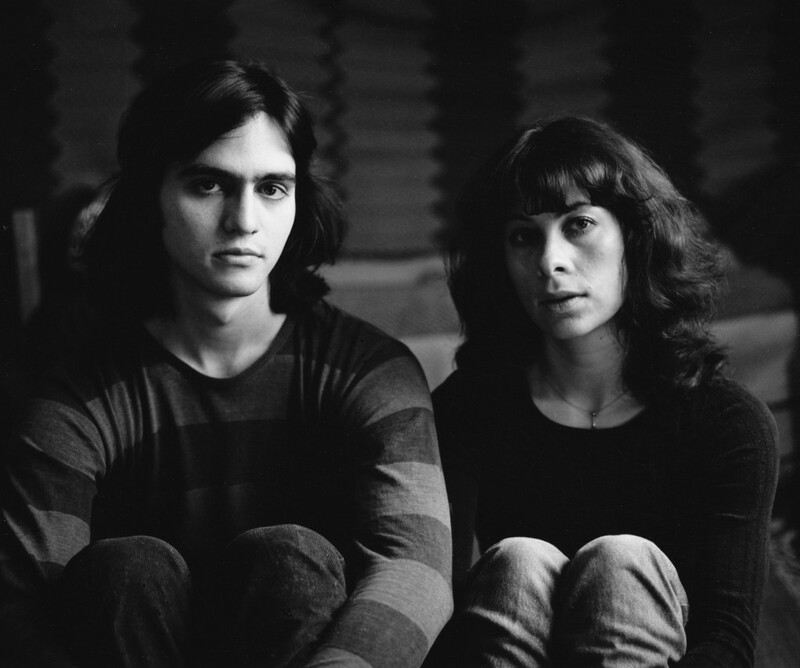 Odin Records scheduled the release of Fairytales for the autumn on 1982, but before that, the critics had their say on Radka Toneff and Steve Dobrogosz’s first collaboration. Critics on receiving the album saw Fairytales’ distinctive album cover, which had been drawn and designed by Anne Toneff. This was the perfect accompaniment to the music within the magical world of Fairytales. Critics were won over by Fairytales and hailed the album masterpiece and an instant classic. Record buyers agreed, and for the two weeks after the release of Fairytales, the album was hugely popular and won the hearts and minds not just of jazz fans, but music lovers. They sought out Fairytales, which was selling well proving that Rolf Grundesen the head of the Norwegian Jazz Federation was right to back the pair. With a critically acclaimed and commercially successful album on their hands, this should’ve been a time to celebrate. Sadly, two weeks after the release of Fairytales, tragedy struck when Radka Toneff’s body was found on the ‘21st’ of October 1982. The thirty year old had died after taking an overdose of sleeping pills. Norwegian music lovers were in mourning as they knew that they had lost one of their greatest ever jazz singers. After Radka Toneff’s death, pianist Steve Dobrogosz rejected any suggestions that she sounded lonely or depressed on Fairytales. 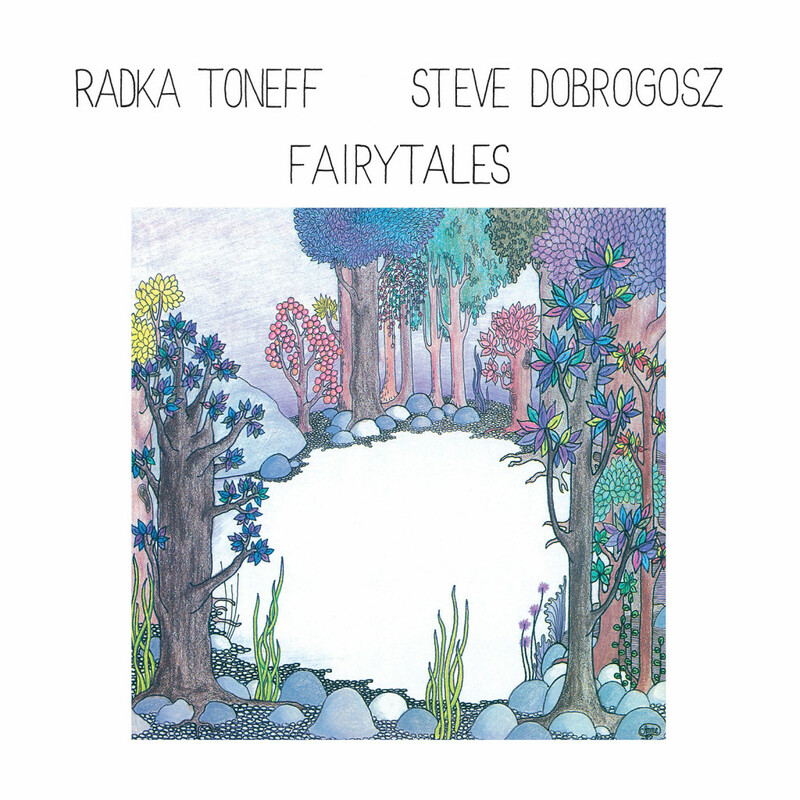 Instead, Steve Dobrogosz believes that Fairytales features Radka Toneff: “at her best” as she interprets the ten songs on Fairytales which is the best selling Norwegian jazz album of all time. That is definitely the case throughout Fairytales, where Radka Toneff is like an actress as she plays a different character on each of the songs. No two songs are the same, and Radka Toneff experiences array of emotions, ranging from hope and happiness to melancholy and sadness. Other times, she’s in a reflective mood thinking about the good times, and also about what she had and lost. Always there’s a sensitivity in Radka Toneff voice throughout Fairytales, where she breaths life, meaning and emotion into each every song, living them and trying to make them her own. Despite being a hugely talented singer, who brought songs to life and often reinvented them on Fairytales, Radka Toneff didn’t write any of the songs on the album. The closest she came was writing the music that accompanied Emily Dickinson’s poem I Read My Sentence. Maybe if Radka Toneff had written some of the songs on Fairytales, it would’ve given some insight into how she was feeling she recorded the album? However, like all singers, Radka Toneff was in character and wearing her musical mask as she recorded her future classic album. As a result, it’s almost impossible to separate Radka Toneff from the characters she was playing. Instead, it’s better to enjoy, embrace and appreciate the last part of Radka Toneff’s musical legacy, Fairytales. It’s a voice that went on to influence and inspire two generations of Norwegian singers, ranging from Sidsel Endresen to singers embarking upon musical careers. However, it’s not just Norwegian singers that have been influenced and inspired by Radka Toneff but artists all over the world. Radka Toneff’s music won the hearts and minds of music lovers worldwide, who will ensure that her music will never be forgotten, including her award-winning debut album Winter Poem and the followup It Don’t Come Easy. However, Radka Toneff’s finest hour was her collaboration with Steve Dobrogosz on their timeless classiske Fairytales, which was released just two before her death and became the swan-song of one Norway’s greatest jazz singers. ← THE MUSIC OF MICHAEL ROTHER KOMISCHE PIONEER.